You need to have better auto glass repair options so that you can keep your car in good shape. Call Empire Auto Glass today when you are in need of help. Take all these services as suggestions when you are looking for the help that you need from us. The cracks in your glass need to be taken care of as soon as possible. There are many cracks that cannot be repaired, but we can replace your windshield or glass in no time. You would be surprised at how fast these things can be fixed and you need to make sure that you get the glass replaced as soon as possible. You will have rain coming in and you will have a problem with wind if the glass cracks more. It could fall apart and become a much more serious driving hazard. Chips in your windshield can be fixed using a polymer which can be used in just a few moments. When Empire Auto Glass does these repairs for you, we will set up the appointment to repair these chips on the windscreen in no time! You do not have to replace all the glass in the car and the job can be done while you even go get a bite to eat. At Empire Auto Glass, we are fast and affordable! You can order special glass that fits into a unique car as well. This is going to help you make sure that you get the windshield that you need. You should not have to overpay and you should not have to go off to the dealer to make sure that you get your glass done right. Wasting money and time is not a good idea and you can avoid these problems when you are noticing these problems on your car. 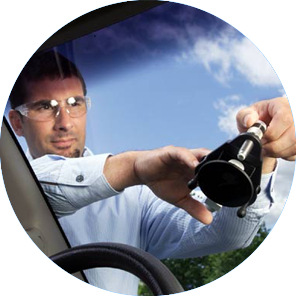 The glass that you need in your car is going to be much easier to find and fix when you are working with Empire Auto Glass. We are here to help you the moment that you need it. Call 703-573-7700 or 301-830-6262 to schedule an appointment!